When I blogged a couple of days ago, I did say I had hoped to close the book on this whole referendum business, at least in the short term. That is still my intention, for in a few days I will be withdrawing from the blogosphere for a while as I will be on my travels. But there have been developments since last Friday’s Leave verdict was announced, which few would have predicted. It will be rather remiss of me to ignore these, which I will address here under three main headings, trying to rise above rubbing in my particular views on the EU or pontificating what is going to happen next (I suspect there will still be twists and turns few will have seen) and, given many are still feeling sore, there is a need for sensitivity. I can never remember a time when this nation has been so divided, although it is likely the Brexit decision has merely highlighted those divisions. I have seen it on a personal level when normal, sedate types feel so devastated over what has been happening, especially regarding my next two points, and I have sometimes feared for our friendship. This sense of a national divide extends throughout the UK. 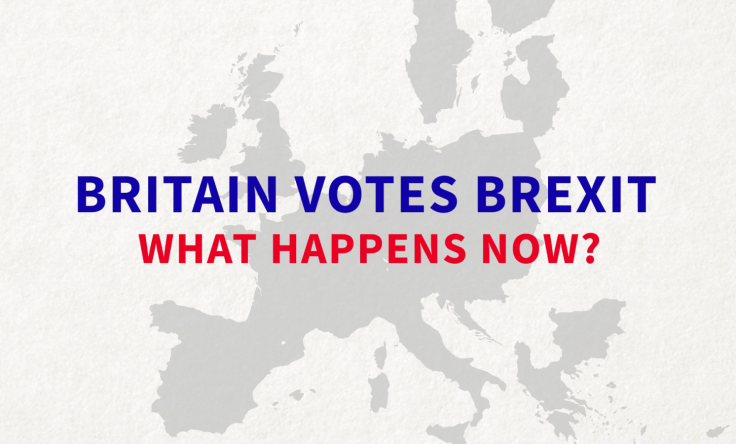 Perhaps there have been fundamental differences long before the EU referendum and now we have the result that has upset the status quo and has surprised most, we are now seeing it being expressed. One poll has shown that on the following issues: multi-culturalism, social liberalism, feminism, the Green movement, globalisation, the Internet; those who voted Leave tended to see these as forces for ill and those who voted Remain tended to see these as forces for good. Not mentioned in the poll was the subject of equal marriage – I suspect there will no prizes for guessing what the verdict might be though. There are other divides of course e.g. economic and intellectual and those who have gripes against the neo-liberal elite, the establishment and the dismissive way legitimate concerns were dealt with, but there will be many exceptions and it is impossible to generalise. While unsurprisingly there was an even bigger gulf on the question of immigration, it seems to be quite poignant that those in the two camps tend to look upon these other issues differently, leading me to think the vote was less about whether we should remain in the EU but the type of country we ought to be. If there ever is a time for a healing of a nation, a conciliatory coming together of people who see things differently, and a need to work for the common good, that time is now. As an opener, might I suggest Leavers recognise that many Remainers have deep and valid concerns over the result, evidenced by the immediate aftermath, in particular the feared for incidents of division, instability and racism, and Remainers recognise that not all, by any means, Leavers are bigoted, xenophobic, racists. They too have their concerns, fearing the country has changed for the worse and our being part of the EU was a key factor behind this. Respect, humility and understanding are now called for, from both sides. There have been numerous incidents of racist behavior since the result has been announced, including by people who I know who have personally experienced it. I should state unequivocally that I deplore all such incidents and my reasons for voting Leave had little to do with immigration. I voted to leave the EU, not for members of the EU to leave the UK. While I don’t want to blow my own trumpet, my record tackling racism speaks for itself. I have long argued we should do better taking in asylum seekers and not be constrained to take in EU migrants unless we want to. Regarding asylum seekers, the EU’s ineptness in providing help was one factor behind my vote to Leave. I am tempted to speculate on why the increase in racist incidents – reasons such as people with a “little England” mentality and a sense their country has changed for the worse part due to immigration and a reaction to doctrinaire multiculturalism at the expense of British identity etc. now feeling embolden, but that will require a good deal more reflection and another post. Some of my Remain friends have chided me for not seeing this coming. The truth is I have seen all three developments as possibilities but nowhere near to the extent as to what is happening now, and is why I came down firmly on the Leave side rather late in the day. I took the view that I was asked a straightforward question and I gave my answer believing (and I still do) that this will be better for the country in the long run. While it may not appease my detractors, I would reassure them I will continue to fight racism in all its guises, and to make my country one that is welcoming to foreigners. One of the other main gripes Remainers have against people like me is that we should have foreseen the confusion that will ensure if we voted to Leave, as it has happened, with little in the way of concrete plans for transition from being a member of the EU to not being a member in evidence. While it is true, more scrutiny should have been placed on this point, as far as I was concerned it was a matter for our elective representatives and I was prepared to offer my services if asked. This has not been helped by the Leavers being a rather motley crew (although the same could be said for the Remainers) and by no means all are singing from the same hymn sheet. While the Prime Minister resigning could have been anticipated as well as the leader of the SNP trying to make political capital out of the fact that Scotland voted to remain yet as part of the UK may well be forced to leave the EU, I am not sure any could have foreseen two thirds of the Shadow Cabinet resigning because they lack confidence in their leader, whose performance in campaigning was deemed to be lack luster. As I write, there is a lot of uncertainty concerning the future Conservative and Labour leaderships and whether the Scottish people will go along with the referendum result or secede from the Union. Having the right leaders is of paramount importance (discussed here). On top of this there is a petition to hold another referendum (now with 3 million signatures and rising) and calls for a General Election. Already, the move to give notice to quite the EU has been put on hold. The situation is confused and no wonder, despite reassurances, the financial markets are in turmoil. Clearly I cannot speak for others and at best my own response can help inform that of others, especially those feeling under pressure because of voting Leave and being seen as responsible for what we are now witnessing. I believe I did the right thing after much heart searching and stand by that decision. I also believe it would be a mistake, despite all the above, to reverse the decision made by the people, although only time will tell if that will be what happens. As a concerned onlooker with little in the way of deep knowledge (although deeper than most voters) I feel unqualified to say what should happen next. If it were in my power I would want to unite the people and identify good people to help in the rebuilding exercise that is now needed. While tempted to despair at the caliber of leaders who could take us out of the EU, it is good leadership we need. When I reflected on the recent death of MP Jo Cox, I realized despite all my reservations, there are a lot of good people who can help fill that gap. It also seems to me that the message of “love not hate” is needed more than ever. I will do what I feel I have been called to do and that is to watch and pray, helping where I can. When my pastor on Sunday described our situation like that of a ship in uncharted waters without a compass, he was right. Not only is there a need for the right people to come on board to steer that ship, there is also a need to look to the one who alone can truly guide us, and just maybe what we are seeing now is the Almighty calling on his people to humble themselves and pray and a nation to repent.